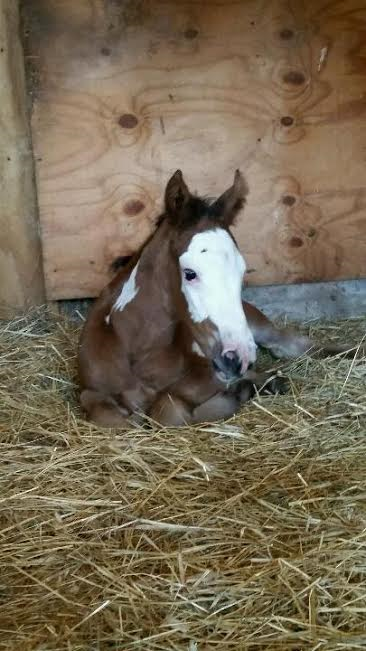 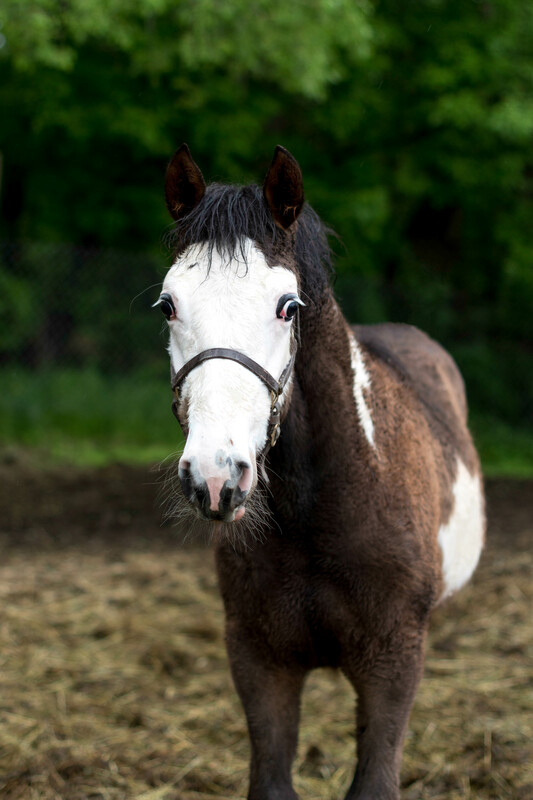 Turtle is a young bay overo paint gelding who was foaled on 11/5/16. 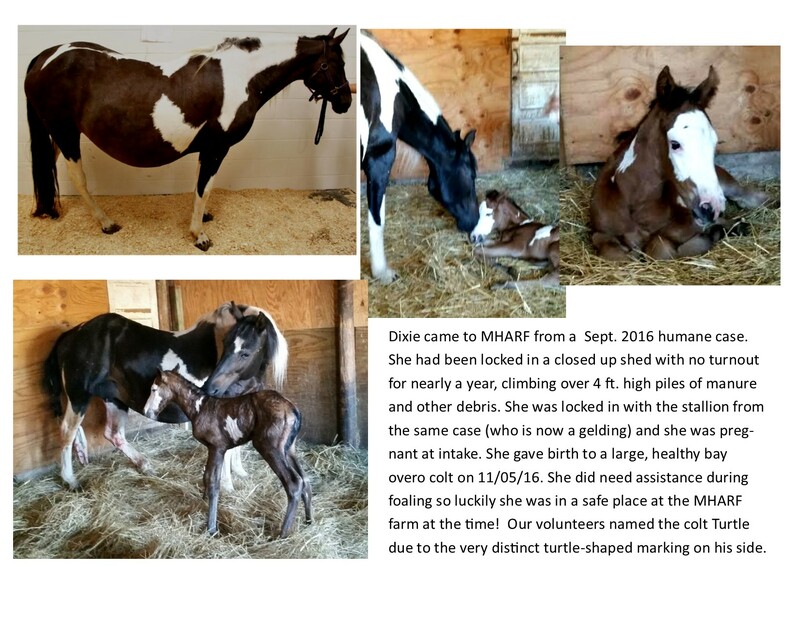 His dam Dixie came to MHARF during a September 2016 Stearns County humane case. 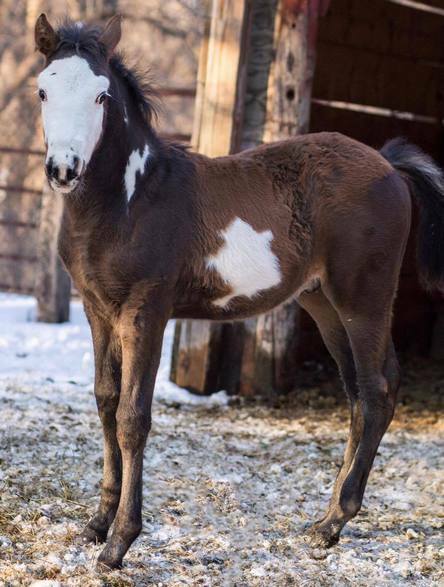 Many of our followers sent us the idea to name him “Turtle” because of the very distinct turtle shape on his side. 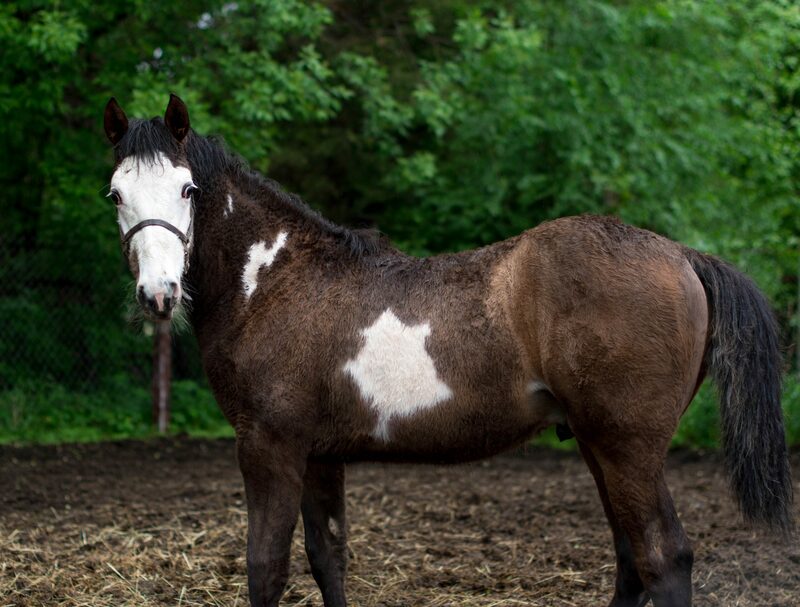 Turtle was adopted but his adopter could sadly not keep him. 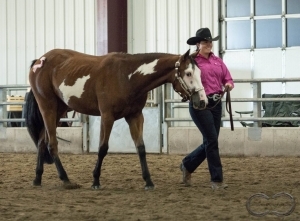 He was returned to MHARF and was entered into our 2018 Promise of the Future Training Competition at the Leatherdale Equine Center on the U of M St. Paul campus with trainer Liz Sigsworth. 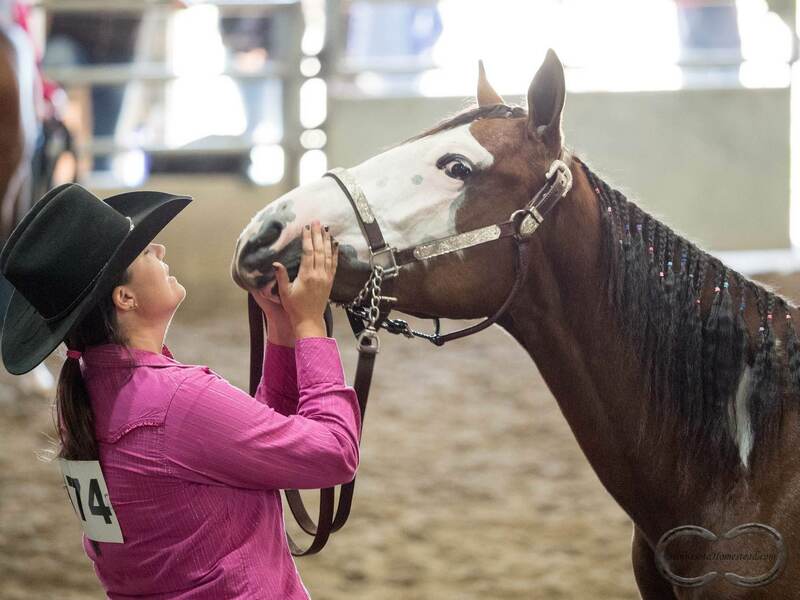 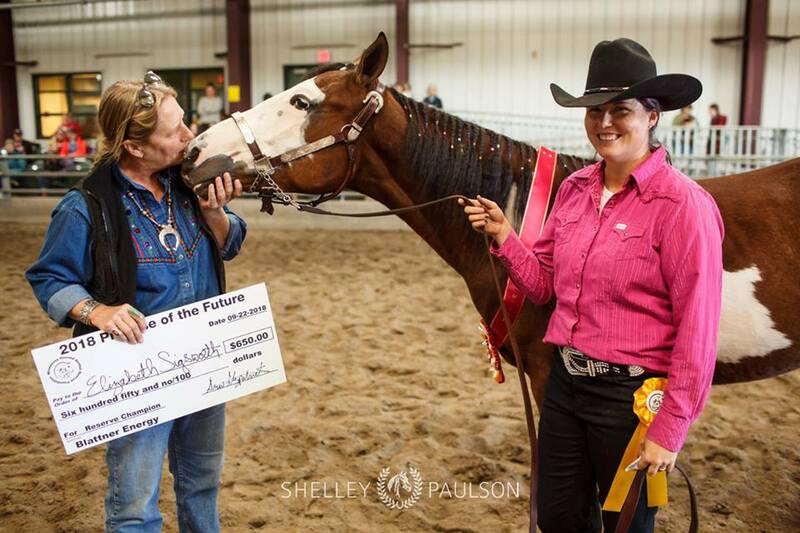 Liz and Turtle competed successfully in the POF on 09/22/18 and won the Reserve Championship! 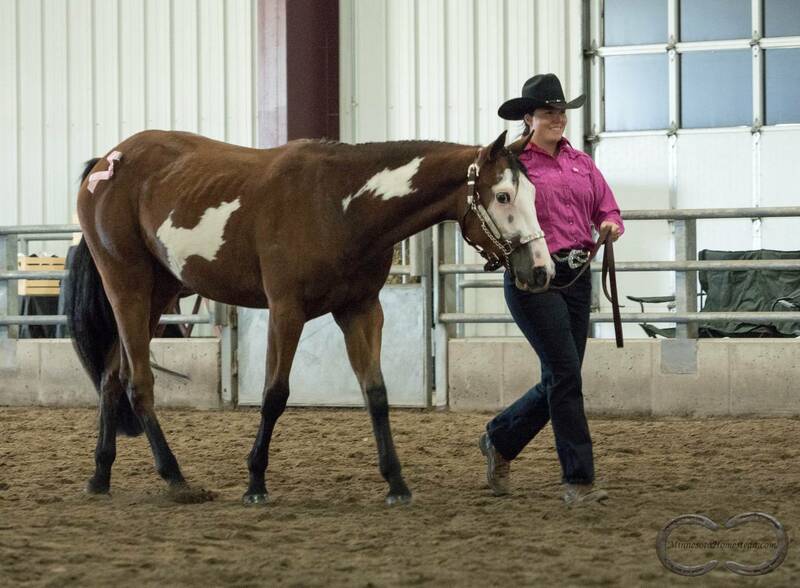 You can see Turtle’s training progress with his POF trainer Elizabeth Sigsworth on his Facebook Page! 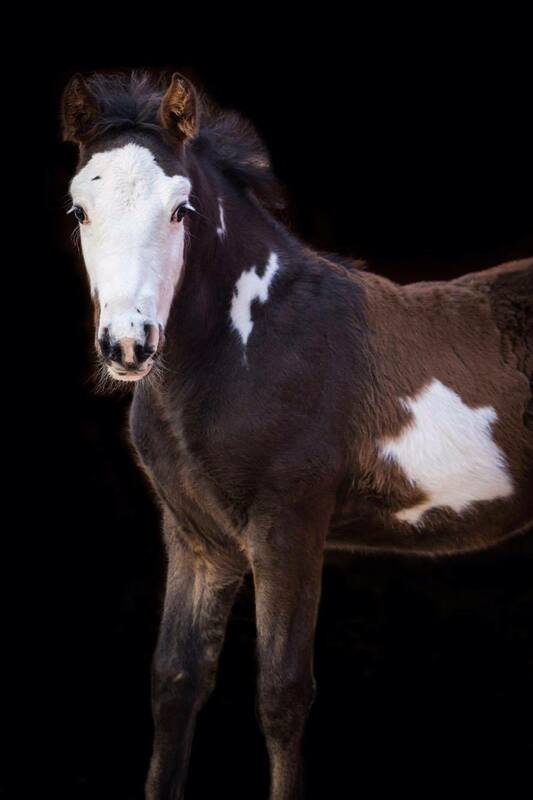 Mighty Update: Mighty has been adopted! 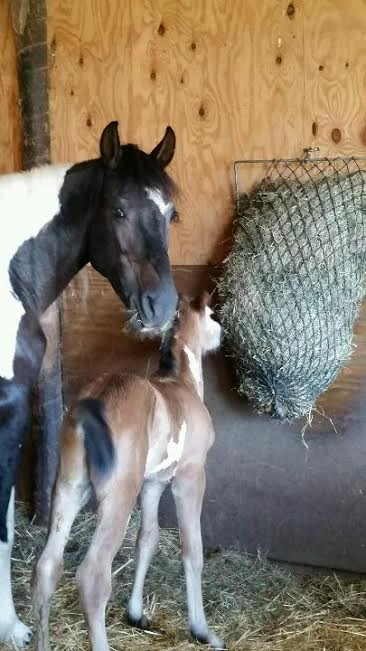 Bug: From Orphan Foal to Cherished Family Member!